Social Responsibility | VETA S.A. Businesses have great potential to transform people's lives. True to the ethics model, we are committed to conduct business in a way that consistently aligns growth with sustainable social and environmental development and in ways that respect, protect and benefit our employees, clients, suppliers and local communities. For this reason, incorporating a CSR strategy into our management system has been a proven milestone. We recognize that our operations, products, and services have a wider impact and can therefore actively contribute to the social and economic development of the communities in which we operate. We aim, through our actions and policies, to demonstrate this mindset. We have therefore to brought together our existing operating principles into one framework policy. Our CSR approach, our set of values, underpinned by the Veta ethical code of corporate principles, is part of our day to day activity. This holistic approach focuses on continuous improvement with procedures constantly being reviewed. Our CSR mantra is “integrate CSR in all that we do”. At VETA we know that supporting the communities in which we live in and work, is fundamental to our business. That is all articulated through a comprehensive Corporate Responsibility Policy. The Veta CSR mindset is about aligning our activities with the expectations of our employees, clients, suppliers and local community in relation to our economic, social and environmental impact, acting in long-term perspective. We focus our corporate social responsibility (CSR) program in five key areas : governance, economics, environment, social and labour. Meeting our CSR objectives means consistently monitoring our CSR Policy which is in line with the international standards of labour safety, health and environmental protection, strictly complied with the National and European legislation. The Social Responsibility Policy of VETA is notified to all staff, subcontractors, partners and to all of the suppliers of the company. We report annually on our progress and performance related to responsible business practices in our annual report. Our company achieved a Performance rating 9.8 of 10 from an independent third party inspector on an Ethics audit which took place in January 2018. We believe that strengthening CSR initiatives will help forge relationships of trust with our people, customers, business partners and other stakeholders. To achieve these targets, the Company's Management is committed to ensure over time all of the necessary resources and take actions for the implementation of the Social Responsibility Policy. The provision of the necessary resources for safety and health of the staff at work. The continuous maintenance of the work environment and to take all of the necessary meters for its improvement. The ability to collect feedback with the aim to settle the targets for the continuous improvement of our CSR activities. Guided by our set of values, we acknowledge that the active participation of employees in the implementation of the Health and Security Policy is essential for the incorporation of all of all health and safety procedures. All employees in the company are encouraged to contribute to the effective formulation and implementation of the Health and Safety System, which is then notified to all of the staff in a circular way. To fully complied with the Health and Safety laws and regulations for the staff. 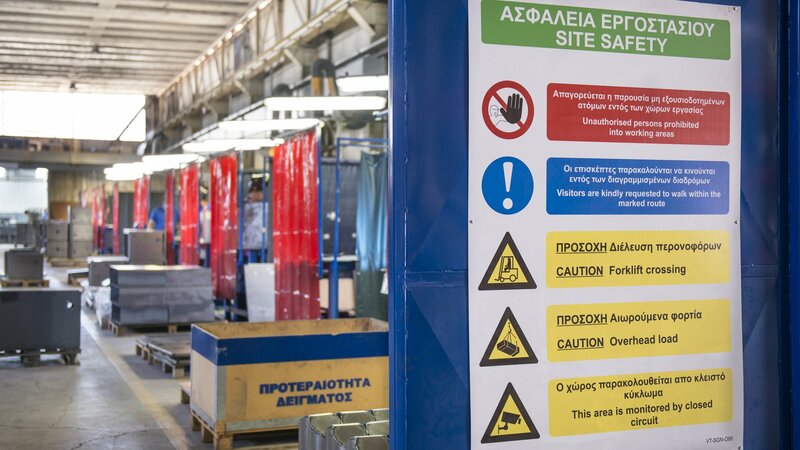 To ensure the full implementation, of the monitoring and reviewing of health and safety by all of the company’s staff members and for the total of its activities. To enhance the adaption and continuous application of the Health and security procedures, in the case of any change in the internal structure, activity and installation of the equipment. To constantly review the Health and Safety plan in order to set targets for continuous improvement. To continuously update the health and safety plan to avoid occupational accidents. To provide of all of the necessary information and staff training for Health and Safety issues. To ensure the notification of our Health and Safety rules to all interested parties. At VETA we seek to contribute to sustainable social and environmental development through all of our corporate activities. Our Environmental Policy is notified to all staff, subcontractors, collaborators and suppliers of the company. The conservation of the natural resources in the everyday performance of the company. The continuous communication with its suppliers and the clients and informing them about the environmental protection measures that are taken by the company. To provide all of the necessary resources for maintaining the environmental policy. The ability to collect the results of the environmental policy with the aim to settle the targets for the continuous improvement of the environmental management.